Great Britain hired German troops during the American Revolution to help bolster the British ranks as they determine it was cheaper than recruiting and outfitting additional British soldiers. There were about 30,000 in total, about 13,000 from northern Hesse from which the lot is referred to as Hessians. About 17,000 were from other parts of Germany. The arms for the soldiers were as varied as the locations from which the came. 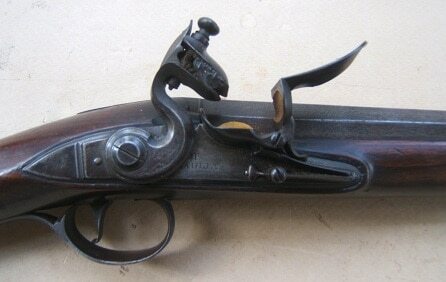 A popular arm was the Model 1740 Potzdam musket, weighing just over 9 pounds, a smoothbore, .75 caliber longarm. Jaeger muskets were another arm used. 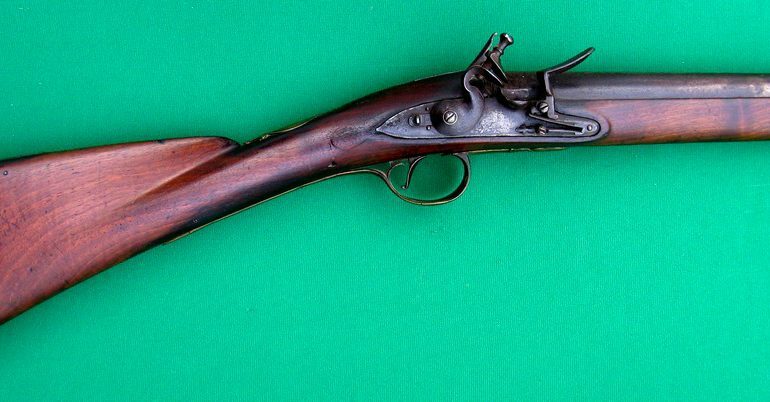 Other arms varied, including the Hessian musket pictured, at .77 caliber and 58.5 inches in length. For more details, click here.